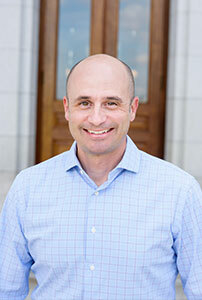 Dr. Wycoff is a 2005 graduate of the Marquette University School of Dentistry in Milwaukee. He practiced general dentistry in his home state of Nebraska for five years before returning to Marquette to complete his specialty residency in Endodontics as well as his M.S. degree, in 2012. Dr. Wycoff’s thesis research on the physical properties of endodontic instruments was published in the Journal of Endodontics. Selected by his peers to the “Best of Madison” list of dental professionals and specialists, Dr. Wycoff also has provided volunteer dental care at Mission of Mercy in both Nebraska and Wisconsin. Outside of the office, he enjoys college sporting events, traveling, and spending time with friends and family.